11/05/2018 – Owasso Police are asking for assistance in identifying the person of interest from surveillance video at an Owasso business. On November 3, 2018 at approximately 11:53 a.m. , the person in question allegedly attempted to steal several hundred dollars’ worth of merchandise from a local retailer and eluded officers. Subject was last seen driving a black Nissan passenger vehicle, which was missing the rear bumper. 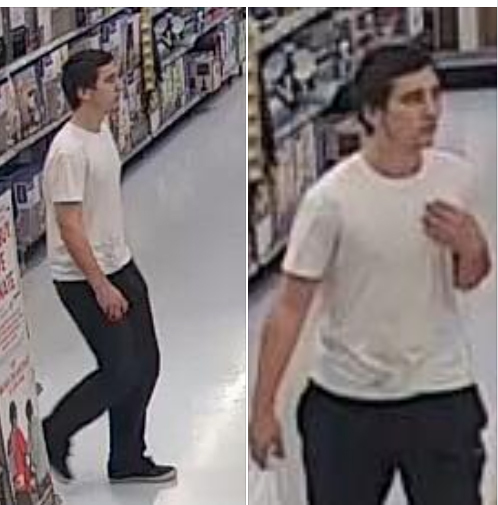 If you can identify this individual call the Owasso Police TipLine at 918-272-COPS (2677) and reference case #2018-3197. As always, you can remain anonymous.